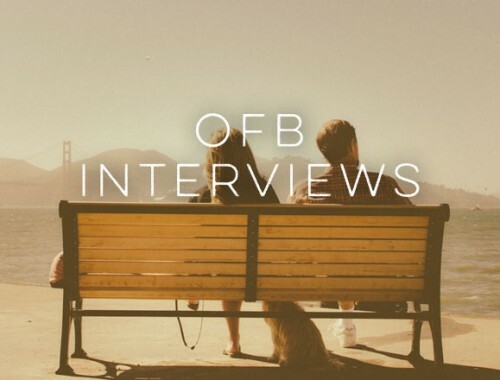 We’re super excited to be kicking off this new series of interviews with readers who have a financial story to share. 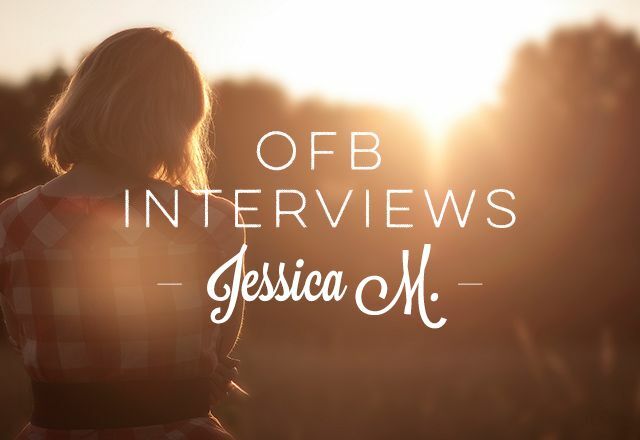 We’re starting off with Jessica M. who has a husband in school, a temporary 60% decrease in household income, and yet feels more financial freedom than ever. She has a great story, and we feel lucky to be sharing it today! We were married at 22 and 23, and I graduated with a teaching degree and started teaching a year before we had our first baby. My husband’s parents owned a collection agency where he (Nick) was working. He hated it (who wouldn’t love calling people up and telling them they owed money! ), but it was good pay for someone with only a high school diploma. His parents decided to retire in 2013 and sell the company. Nick had a year to find a new job. He looked and applied and interviewed but it didn’t take long to figure out that with a high school diploma your options are limited to crappy hours and decent pay, good hours and little pay, or intense physical labor. In the end, we decided going to college would be the best option. A 4-year sacrifice to a better future. Because Nick worked in collections, he knew the evils of debt. So when we decided on the college route, we wanted to do it without going into debt. During the summer before his first semester, we sold our extra Jeep, sold our camper trailer and sold our 2010 Dodge truck, which completely got us out of debt (except for our modest 100-year-old home). And we had enough in savings to cover tuition for 4 years at our local university! After one semester of working part time and barely passing all his classes, it became apparent that this college stuff needed to be a full-time gig. We calculated and figured that we could squeak by on one income — barely and only if Nick could watch our 2 kids part time to lower daycare costs. During my Christmas break of 2013 I went to the library and checked out 3–4 budgeting/money books to prep myself for the start of my husband’s next semester when we would just be living off my teacher salary. After reading a couple of them, Dave Ramsey’s The Total Money Makeover struck me the hardest and we jumped in — envelope budgeting and all. A blessing occurred during this time when a new grant was awarded to our school to help students with kids take care of daycare costs. We applied and were awarded with 90% of our daycare costs being covered through this grant! What a huge blessing! We are now 2 years into the college thing. Nick is studying Wildlife Science and is looking forward to ditching desk jobs once and for all for studying the migration pattern of elk or the life cycle of beavers or the mating calls of moose. Because we are able to live off of one income (thanks to our freaking budget) and are blessed with the daycare grant, he is also able to get in countless hours of volunteer work with our Department of Natural Resources. He is working with his future bosses and coworkers already, giving him a huge networking advantage once he graduates. We are kicking ourselves that we “wasted” 6 years of our marriage to poor money management. Four of those years we were both working and making well over $75,000 (but still feeling like money was tight!). We can’t imagine the extra savings, the paid off house, the cushy retirement we could have had, had we started doing a budget earlier in our marriage. So walk us through some specifics: how do you plan on making it to graduation without encountering the Debt Monster? We’re going to college to get an education, to get a better career to support ourselves and our family, and we’re sacrificing the “looking good” part until then. Our cars are old but dependable, and we shop yard sales, Facebook classifieds, and thrift shops for clothes and such. We meal plan, only buy things that are on sale, and price match whatever we can at Walmart. Our Eating Out budget holds enough to eat out maybe twice a month at a fast-food-type place. We can scrimp and save for 4 relatively short years (if you look at the grand scheme of it all) if it means we’ll end up with a degree that will get us a better job with no harmful side effects. You mentioned a budget has made so many things possible for you two. Why do you attribute your success to a budget? Even when we were making over $75,000, we felt like money was tight and we couldn’t afford vacations or new furniture or a new pair of shoes even. Now that we are down well over half of that and budgeting, we feel like we are in the exact same position. We don’t feel like we are living off of way less than what we were doing before. In fact, in some ways, we feel like we have been given a raise. I don’t exactly know how that works, but somehow, because we have budget categories and stick to them, we have more money. And it’s great! Before budgeting, the money would be in the account and the money would leave the account, and we would be scrimping by at the end of the month, wondering where it all went and we would have NO idea! If I worked extra hours or did summer school, or if Nick got a bonus, it really didn’t affect us because it would just go into our bill pay account and somehow get used up. Now that we are budgeting, that “extra” money feels extra and can be used for extra fun or extra savings. Good old envelopes have worked for us so far. There may be a time when we “graduate” from this, but it is working so well for us right now that I don’t see it being anytime in the near future. A couple of my favorite envelope categories are our Car Maintenance and Yearly Expenses envelopes. I calculated how much we spend on our cars in a year — including oil changes, state inspections, registrations, etc. — and divided that by 12. We now put that much each month into the Car Maintenance envelope. Coming up with the extra money for state inspections and registrations could really hurt, but now we just pull it from the Car Maintenance envelope and it doesn’t hurt at all. The yearly expenses, which we actually call “Random Savings” envelope works similarly. Last year I took note of the random, once-a-year things that come up expectedly, unexpectedly, and the same time every year that cost a substantial amount. Amazon Prime memberships, birthdays/holidays, fishing license renewals, yearly insurance dues, Christmas, etc. I added all that up (yikes) and divided it by 12 (not so yikes), and we put that much away each month into the envelope. So when those crappy once-a-year things come up, we’re not pulling from our grocery or personal money to pay for them. With the help of this envelope category, this is also the first time we’ve ever started in January saving for Christmas! Which means when we see an awesome deal on an item in July or September that would be a great Christmas gift, we have cash to pay for it! What’s your husband planning on doing with his degree? Is he going to start a real-life Jurassic Park (please say yes)? He is basically going to be a tree hugging/animal kissing person. He is leaning towards big game research (elk, deer, moose), but really anything in Natural Resources he would love. He volunteers a ton with the person who traps and returns the deer that come down into our valley during the winter and do damage to people’s homes and yards. He also enjoys picking up the dead game that were hit on the side of the road. Weird, I know. As far as Jurassic Park goes, after watching the first 2, he has decided that they have an inadequate closure system that seems to be unreliable. He does not fancy the idea of sitting on a john and being torn in half while he’s reading the best hunting magazine he’s ever read. Due to that, and our lack of genetic understanding, he thinks he’ll stick to picking up dead skunks off the road. Thanks again, Jessica! It’s so incredible to hear how something as simple as keeping a budget can change people’s lives and make the impossible possible. I especially loved reading about how, even on one income, they have more money because they’re sticking to a budget. It sounds crazy, but it’s so true. 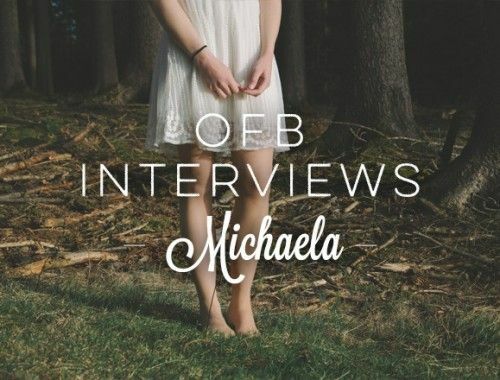 We’re excited to share more of these interviews soon! Stay tuned! 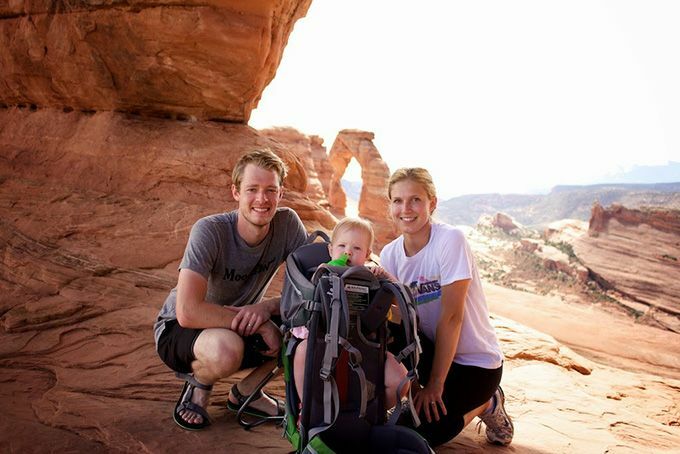 “We are kicking ourselves that we “wasted” 6 years of our marriage to poor money management.” ~ This stuck out to me because I feel the same way about my last 2 years of college! I made really poor financial decisions (read: student loans to look good) that have long-lasting effects – not just for me, but for my husband and kids. But the great thing is that we are learning these lessons NOW – instead of 16 years or 20 years or more of money mismanagement, we’re correcting the problem early. Better late than never, huh? I’m also glad we’re learning the lessons now, and that Nick didn’t decide to go back to school when he was 50 or so and we would’ve wasted even more time! I’m kind of glad we had our two kids in our time of prosperity, even if it’s a little more of a struggle now. They sure make everything more fun! I love this series! Looking forward to more! I really enjoyed this post. “As far as Jurassic Park goes, after watching the first 2, he has decided that they have an inadequate closure system that seems to be unreliable.” – very funny, and so true! Just out of curiosity, have you tried YNAB? A virtual envelope system that has really helped my finances, especially with those yearly expenses. Just yesterday I needed to dip into my ‘car fund’ and replace the battery and IT WAS SO GOOD knowing I had money there for that purpose and I didn’t need to charge the MasterCard. Bliss. I haven’t tried YNAB. I’ve looked into it a little but with the actual cash-on-hand-envelope-thing going so well for us I’ve kind of felt why ruin a good thing, right? If we start lacking motivation or need a reboot somewhere along the lines I’m sure we’ll go to something app based. And I totally agree, it really is pure bliss when you’re able to pay cash for those random expenses that pop out at you! Love this! Can totally relate. Nothing like a budgeting testimonial to inspire me to keep working on my freaking budget! This was so interesting to read, and I am inspired to hopefully follow a similar method when my boyfriend goes back to school eventually…hopefully we could be married by that point to really balance it all out.